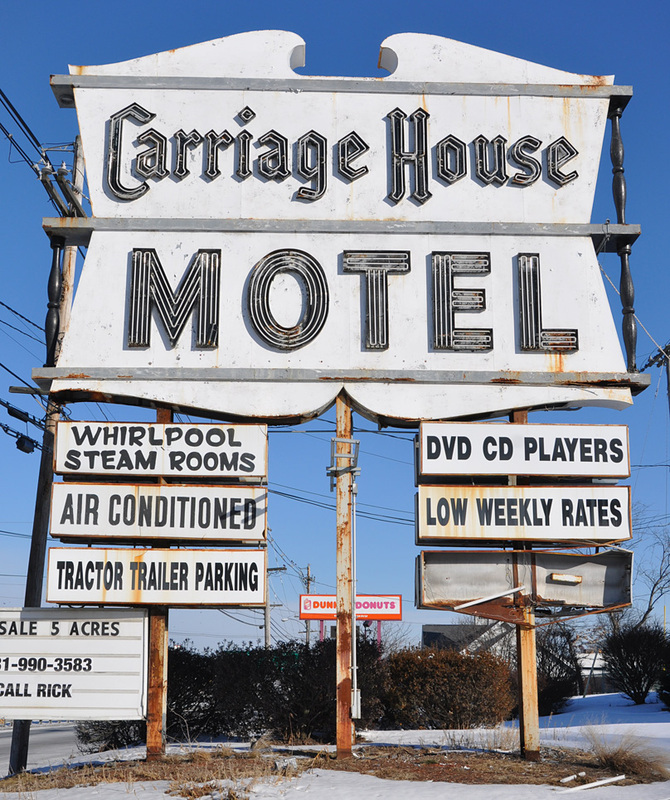 The Carriage House Motel had been closed since 2008. This photo was taken in 2010. 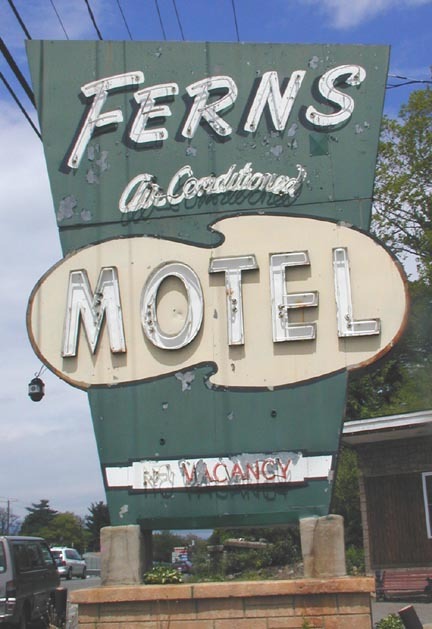 The motel and sign were demolished in 2012. 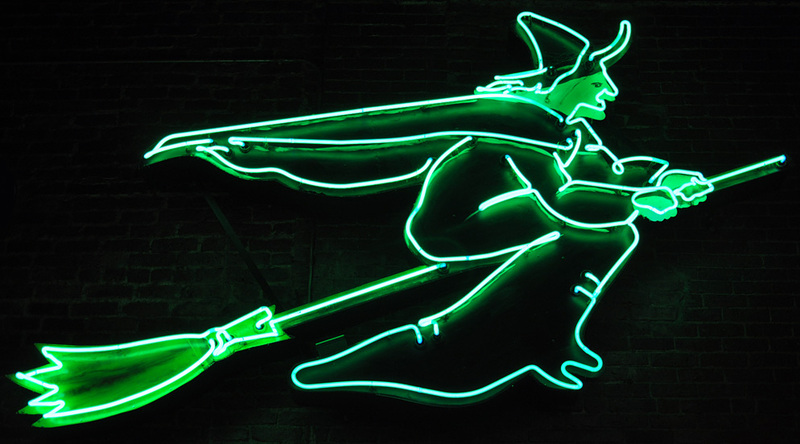 This witch sign is installed inside the Salem Beer Works brewery and restaurant. 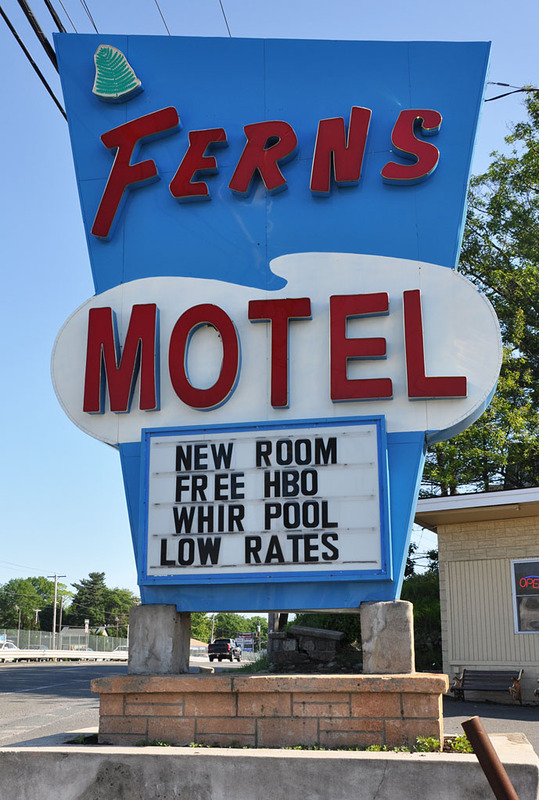 It was originally part of a larger sign that was 80 feet long. 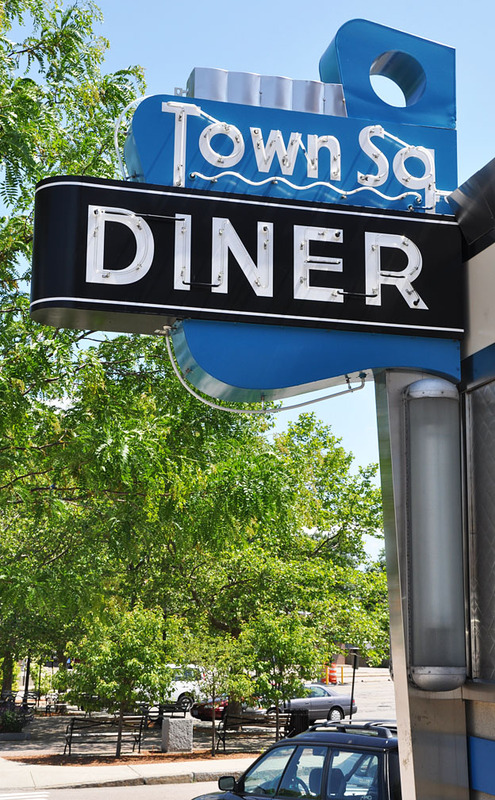 The neon was originally white. 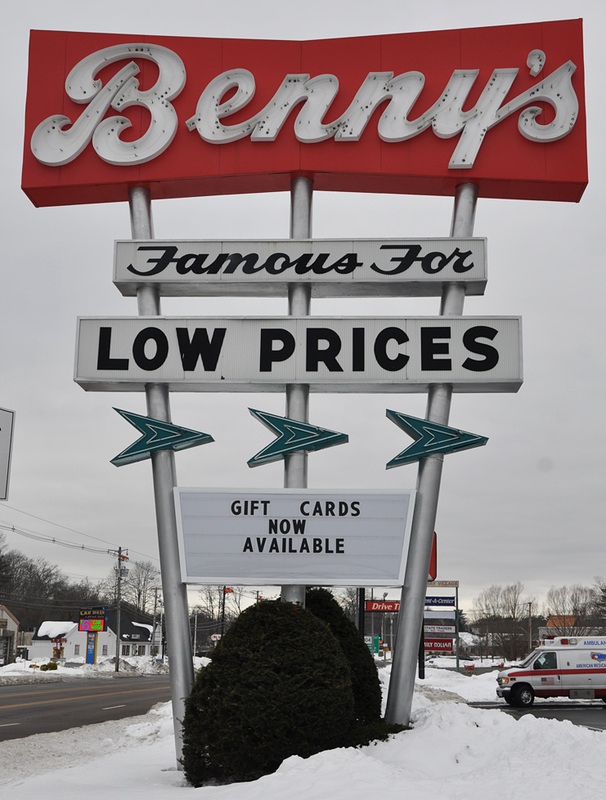 The sign was built by and installed at the Salem Sign Company. 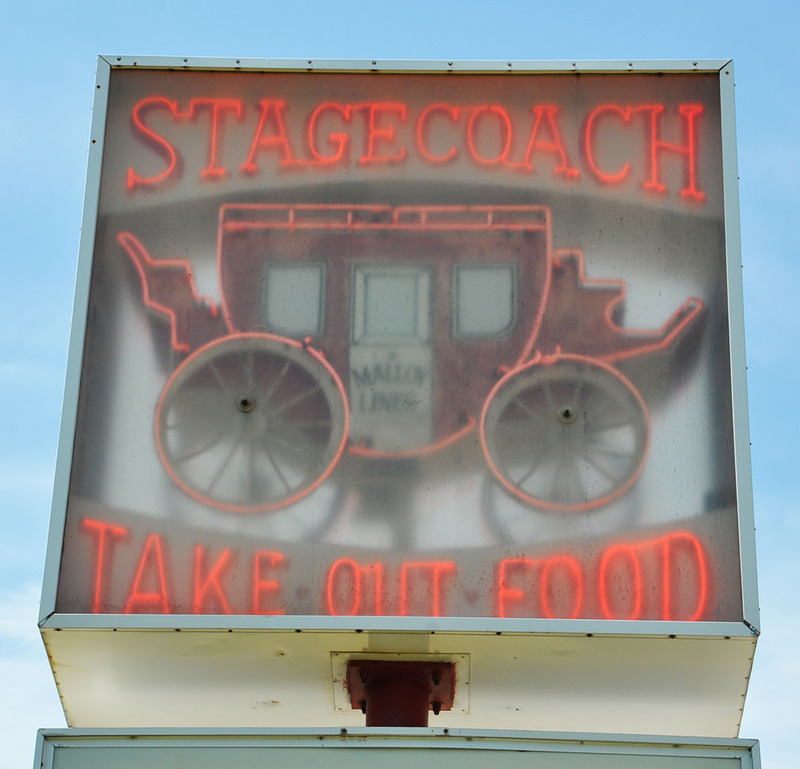 The Connie's Stagecoach restaurant sign looks like it has always been encased in a box. It appears it may have revolved. This photo is from 2011. 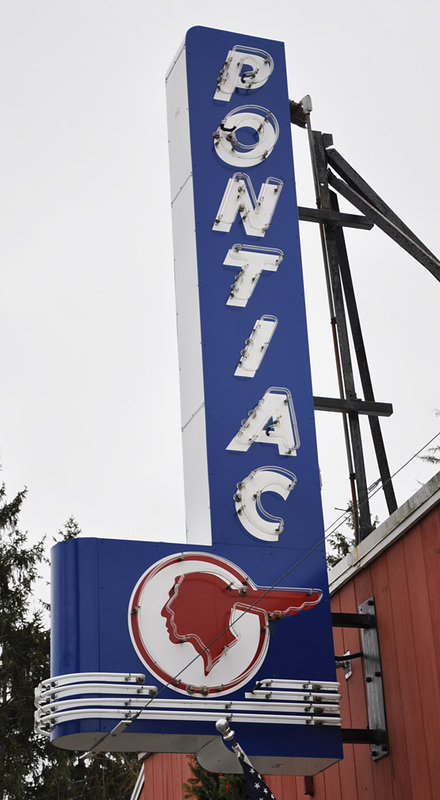 By 2015, the sign had been replaced with a backlit plastic box sign. 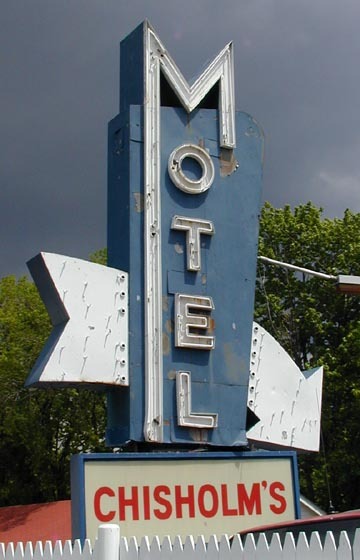 Chisholm's Motel was built in the late 1930s or early 1940s. This photo is from around 2001. 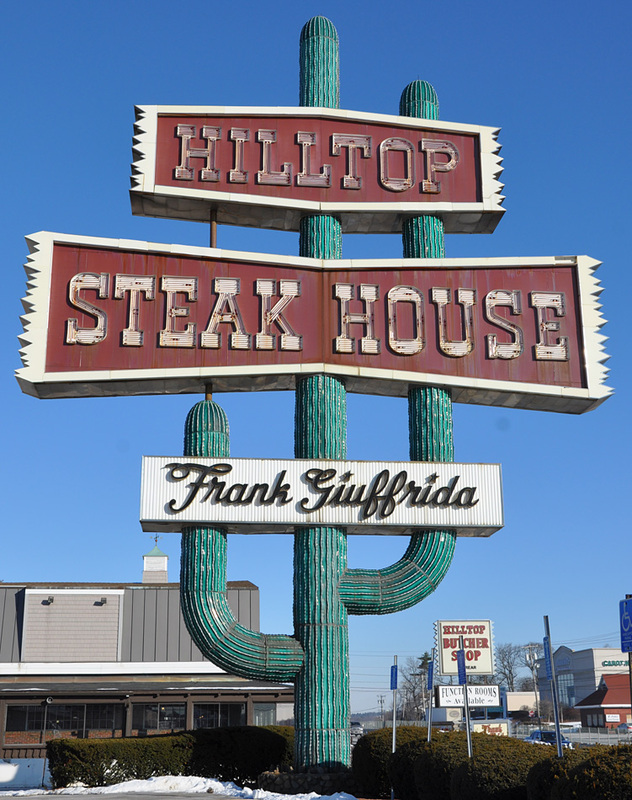 By 2007, the sign had been replaced with a new one with plastic panels. I don't know when the Springfield location opened. 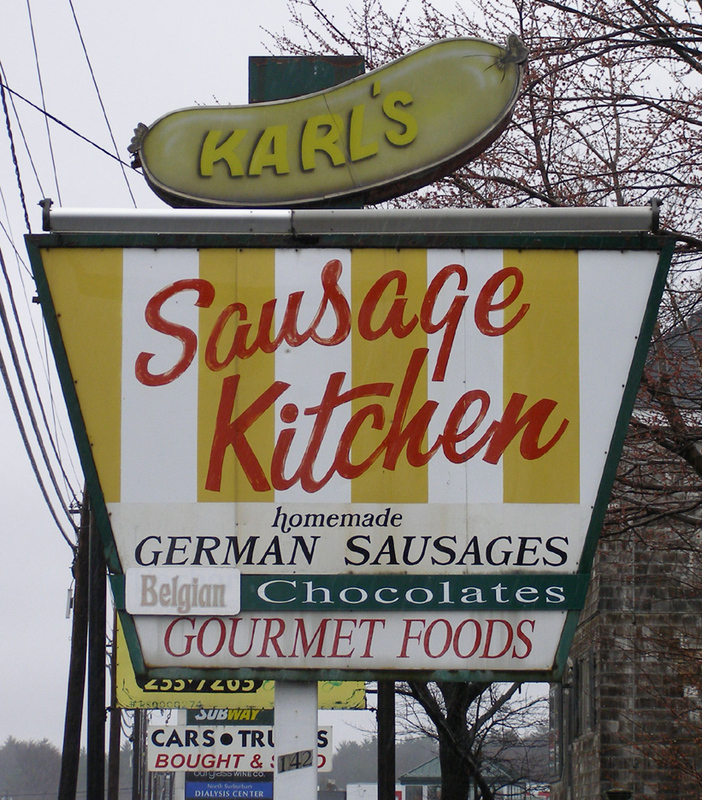 However, by 2005 when this photo was taken, it appeared to have been closed for awhile. The building was then undergoing asbestos removal. 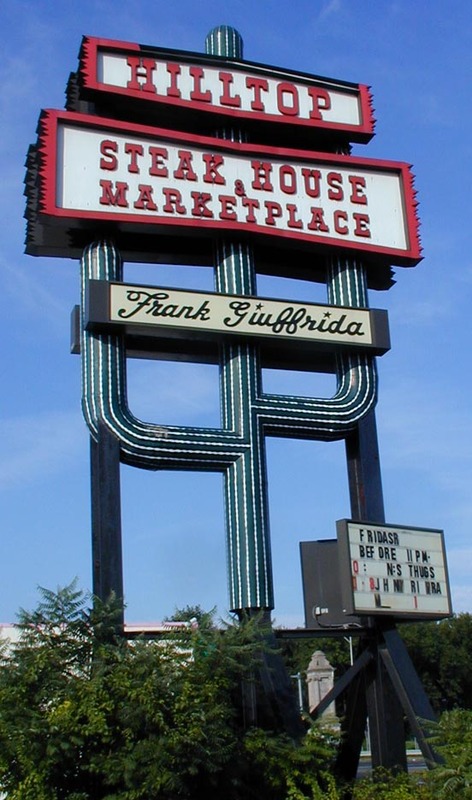 It was demolished in 2006 and the sign removed in 2007. 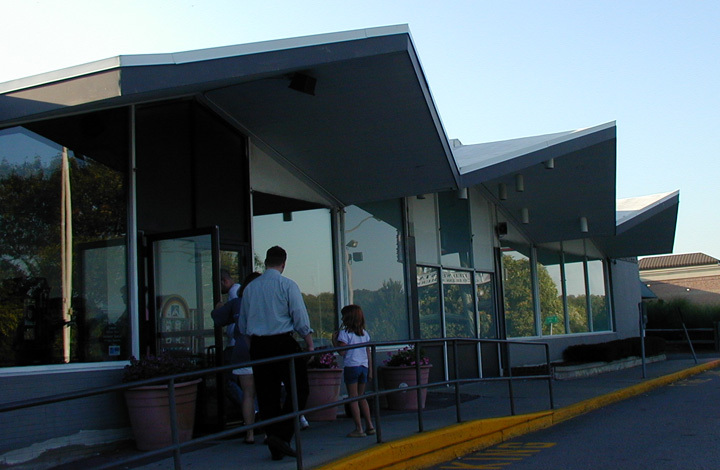 The Braintree location opened around 1986. 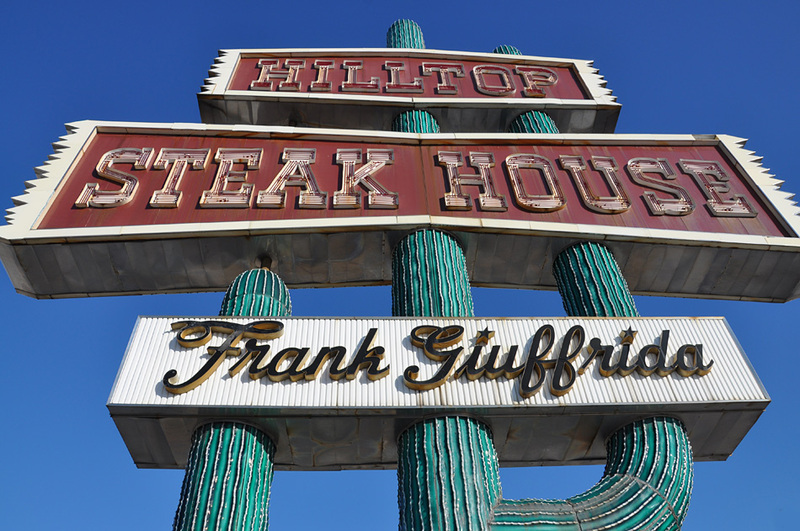 It occupied a former Valley's Steak House and kept its 1960s folded-plate exterior entrance. 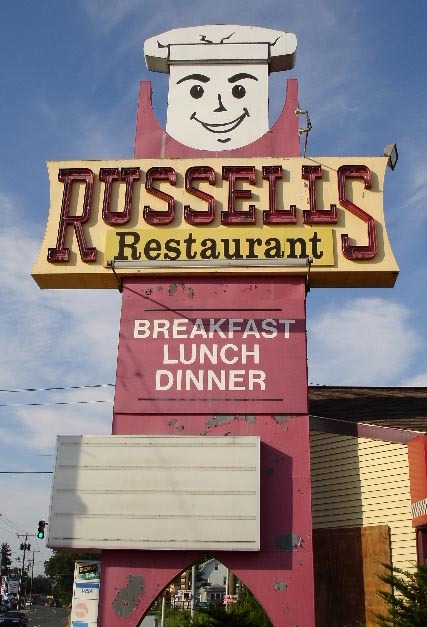 The sign replicated the one in Saugus. 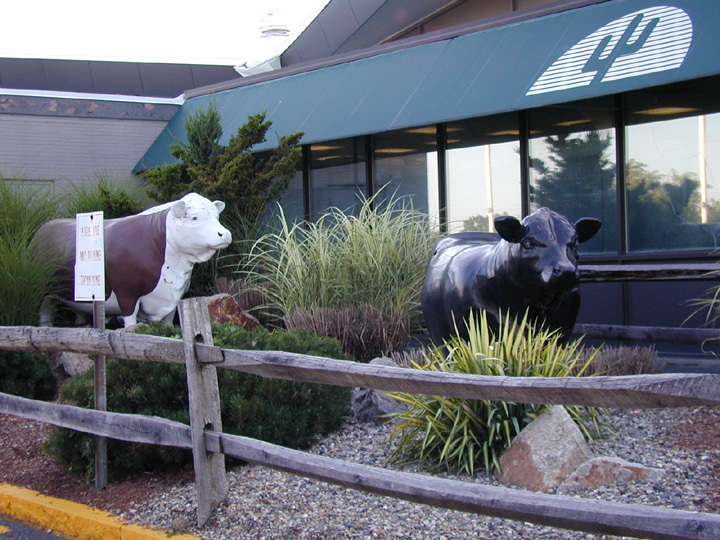 There were also lots of fiberglass bulls around the building like the Saugus location. 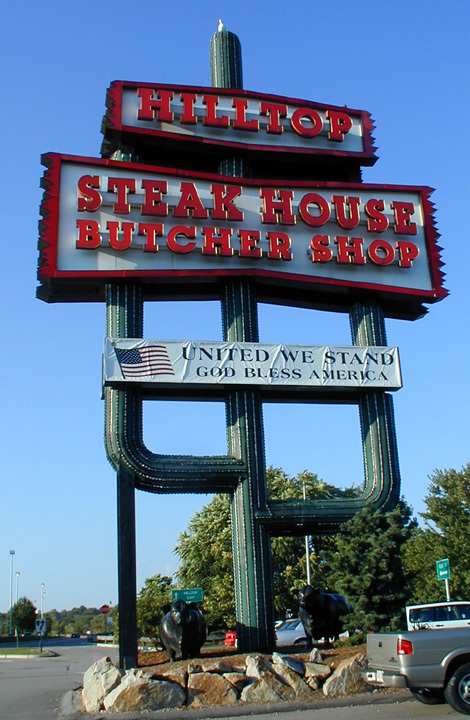 In an auction in 2007, the bulls were sold and the sign was sold for $100. The property is now used by a Toyota dealership. 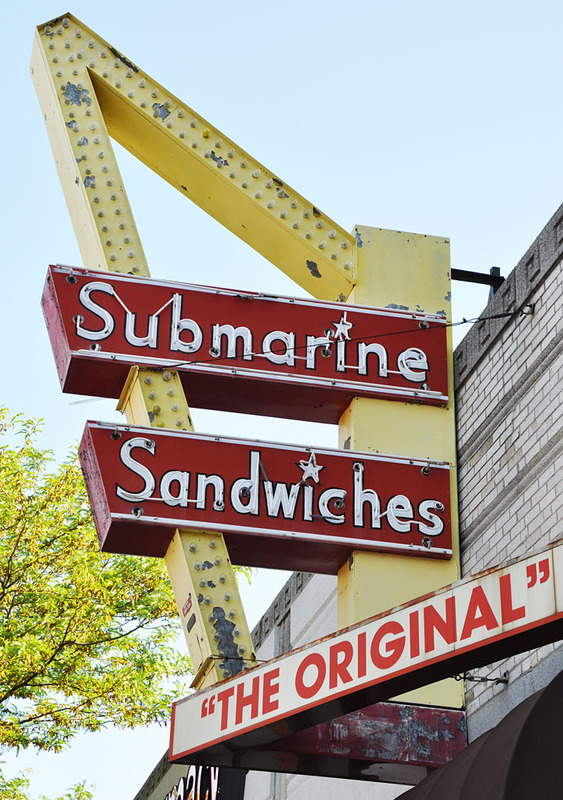 Santoro's Submarine Sandwiches was established in 1949 and developed a chain of restaurants in the area. 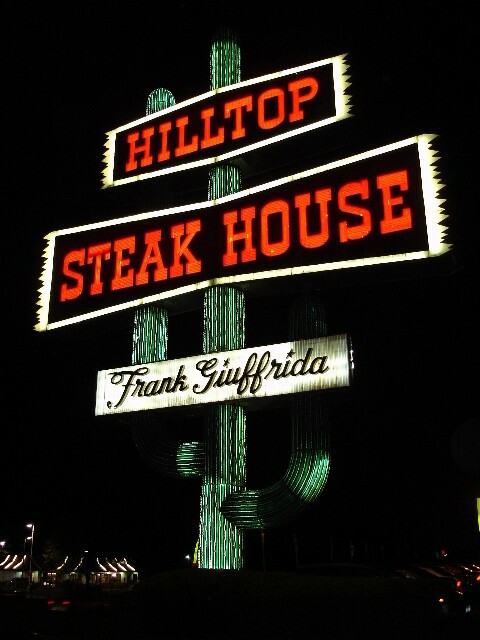 This was the only location left. 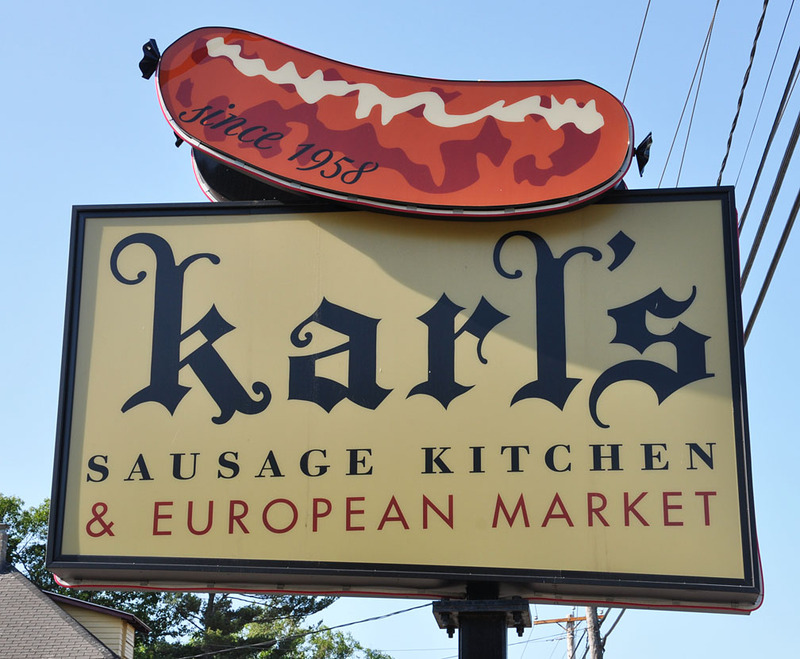 The store closed in 2014 and the sign was removed in 2015.